This one goes firmly in the rumor category, but a recent interview with Frank O'Connor from 343 made it sound like a PC version of Halo 5: Guardians could happen. So if you don't own an Xbox One, there may be hope you'll have a chance to team up with Locke, Buck, and the rest of the Scooby gang as they hunt down Master Chief. 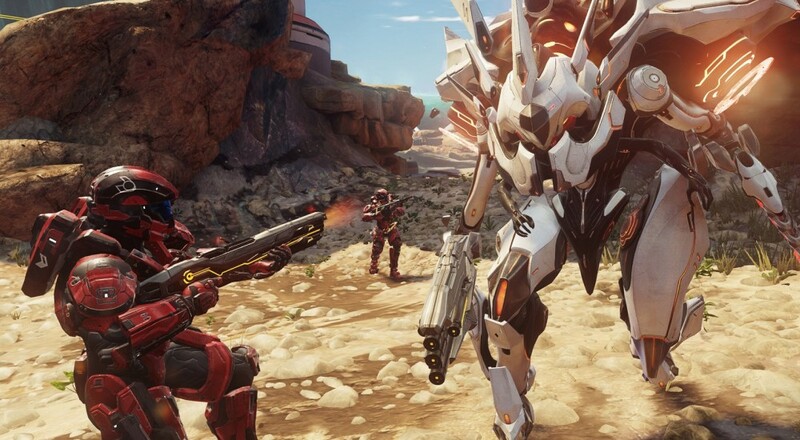 There is plenty of chance that Halo 5 could appear on PC... There’s nothing new to announce at this point, but it’s absolutely not out of the bounds of reason. We developed the game on an Intel platform, so it wouldn’t be the hardest thing in the world to move it to PC and take advantage of PC stuff. So, nothing confirmed at all, but a nice little possibility dangling out there for everyone. Be sure to check out our Co-Op Review of the game and our Co-Op FAQ so you can make the most of your co-op time. Page created in 0.2530 seconds.